Rescuers were called to assist a vessel which had got into trouble after mooring up alongside a Portsmouth pier. Gosport & Fareham Inshore Rescue Service (GAFIRS) was paged by UK Coastguard at 1740 to reports of a vessel in distress at Clarence Pier. 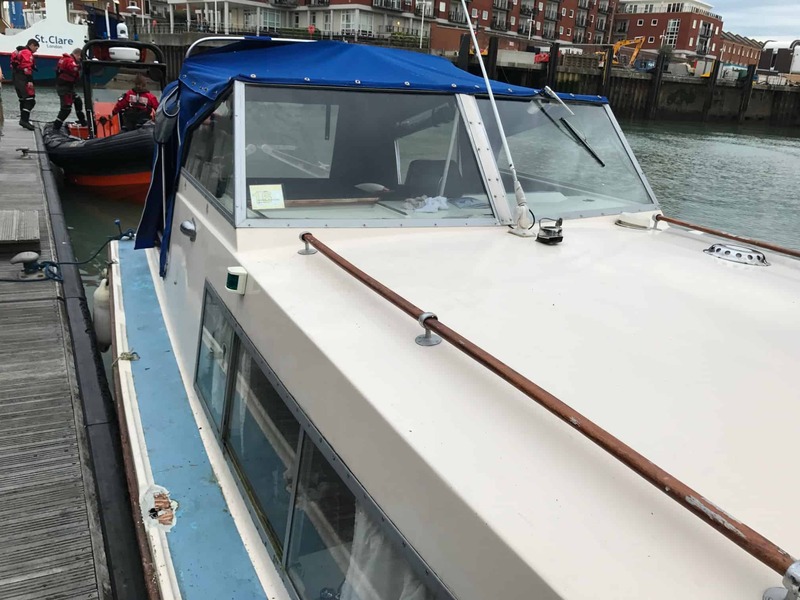 The skipper of the cabin cruiser had fallen into the water and the second person on board was struggling to recover them. 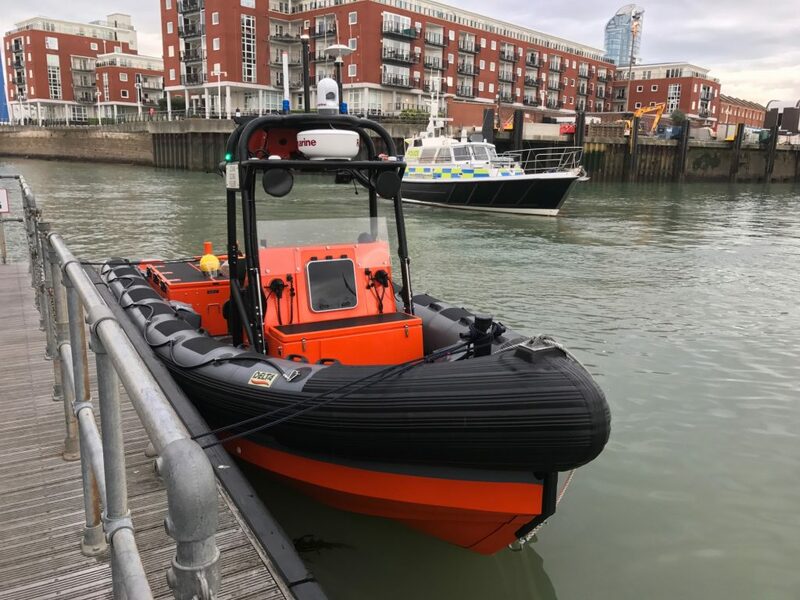 When Gosport independent lifeboat launched, the skipper had been recovered to the boat and it was making its way into Portsmouth Harbour under the supervision of an MOD police launch. 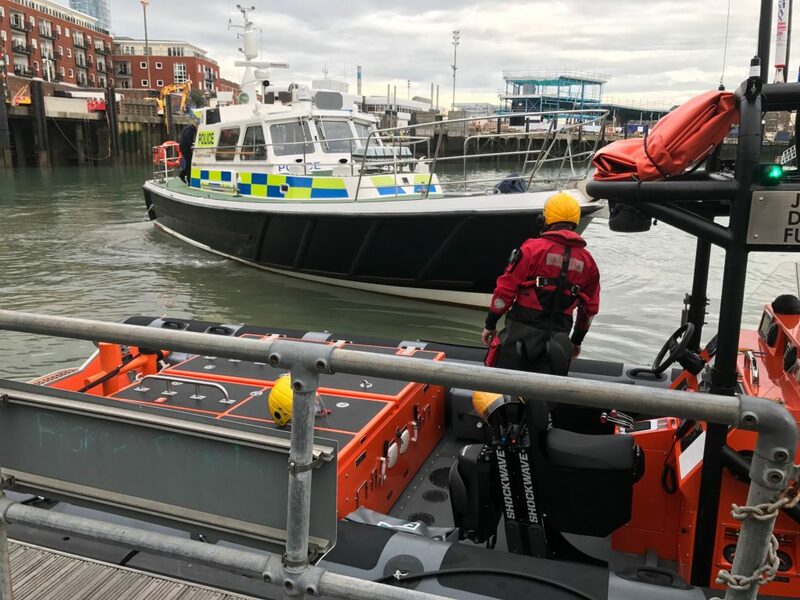 The two occupants were left in the care of South Central Ambulance Service while GAFIRS took the vessel under tow to Haslar Marina. In total the operation lasted two hours and was the service’s 14th incident of the year. GAFIRS is an independent lifeboat station based at Stokes Bay Gosport, run entirely by volunteers, on call to the Coastguard 24 hours a day, 365 days a year.